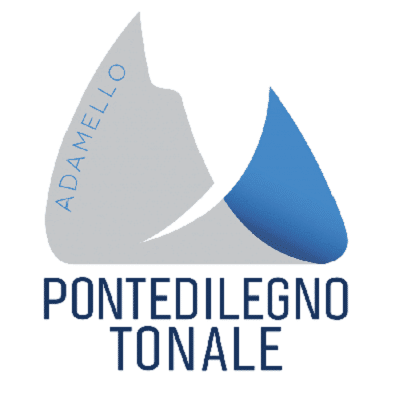 The Ski School Pontedilegno-Tonale offers group lessons for children suitable for all needs: weekly courses, week-end courses, Christmas–time courses and other holidays courses. Beginners will appreciate the idea of skiing as an outdoor game in safety and fun in order to deal with more difficult slopes thanks to our qualified instructors and their specific teaching methods. Children with intermediate skiing skills will get more confidence and control, improving their style training with our instructors’ support. Children with advanced skills will demonstrate the newly mastered techniques and skills on all slopes enjoying a considerable confidence and competitive spirit in order to approach racing courses. 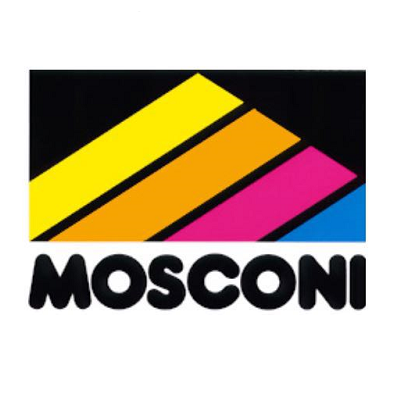 The course is aimed at beginners from 4 up to 8 years old who will have their first experience on skis or not able to ski on easy slopes; meeting point in Passo Tonale at the Fantaski Park. The course is aimed at beginners from 4 up to 8 years old who will have their first experience on skis or not able to ski on the nearby blue/easy slopes independently; the meeting point is in Passo Tonale at the Fantaski Park, near the chairlift Scoiattolo. Our Playground Fantaski is a safe area equipped with paths, specific teaching methods and two carpet lifts where children can learn to ski and have fun at the same time developing skills needed to go down on more difficult slopes next to the area. On Friday, at the end of the course, there will be a non-competitive race with prizes for everybody. The Fantaski Park is open from 9 am to 5 pm and thanks to its sunny location in the centre of Passo Tonale can offer many services such as a heated chalet, toys, entertainment programs and baby sitting service with special offers for families. Please contact fantaskitonale@artswiss.org for more information. Sunday lessons last from 02:00 am till 04 :00 pm ( not from 11:00 am till 01:00 pm ) from the second week of January till mid March. The group lessons do not have a limited number of participants and are made up of an average of six participants per class; anyway you can make a reservation through the online booking or by email indicating personal data, phone number, age and approximate level of experience of the participant : save money through the online booking. The children’s meeting point is at the Fantaski Park in Passo Tonale, where the pupils must arrive on time with skipass, equipment and course enrolment. The final race does not take place in case of adverse weather conditions. The use of the Fantaski Park is free during the group or private lessons given by the instructors of our Ski School. The course is aimed at children of all levels from 4 years of age ( except for beginner from 4 to 8 years of age ). The meeting point is in Passo Tonale at the Raduno Classi area – Chairlift Cadì- Serodine. WE FORMULATE QUOTES UPON REQUEST FOR FAMILIES OR ORGANIZED GROUPS WHO REQUIRE DAILY OR WEEKLY PERSONALIZED PROGRAMS NOT LISTED IN OUR RATE LIST. The course is aimed at children of all levels from 4 years of age ( except for beginners from 4 to 8 years of age who can take part in Fantaski Course). Children taking part to the course will be tested in their technical ability and divided into similar groups with the same age or skills level so that they can progressively improve during the week having fun with the other mates. On Friday, at the end of the course, there will be a friendly race with prizes for everybody. The lesson on Sunday will take place from 02:00 pm till 04:00 pm ( instead of 11:00 am till 01:00 pm) from the second week of January till mid March. Each group course can have an average of eight children taking part, with the same skill level or age. You can make a reservation through the online booking or by email indicating personal data, phone number, age and approximate level of experience of the participant: save money through the online booking. The pupils must meet on time by the Raduno Classi in Passo Tonale with skipass, equipment and course enrolment. The course is aimed at children and juniors between the ages of 6 and 14 of all levels, beginners excepted. The meeting point is in Passo Tonale at the Raduno Classi area, next to Cadì and Serodine chairlifts; the lunch is included in the price. It’s recommended to book in advance. The course is aimed at children of all levels from 6 years of age, except for beginners. Children taking part to the course will be tested in their technical ability and divided into similar groups for the lessons in the morning; after the lunch break they will go on for the afternoon classes with the same instructor on the basis of the number of participants. The lessons last from 11.00 am till 3.45 pm. It is advisable to make a reservation through the online booking or by email indicating personal data, phone number, age and approximate level of experience of the participant in order to guarantee the minimum number of 4 participants for the course. In case of food allergies you must inform our staff in advance. The children’s meeting point is at the Fantaski Park in Passo Tonale where the pupils must arrive on time with skipass, equipment and course enrolment. The final race does not take place during the Christmas time. The courses are aimed at children and juniors of all levels from 4 years of age ( except for beginners from 4 to 8 ). The meeting point is in Passo Tonale at the Raduno Classi area – Chairlift Cadì-Serodine. The courses are aimed at children of all levels from 4 years of age ( except for children from 4 to 8 years of age, who can take part in Fantaski/Baby Courses ). Pupils will be tested in their technical ability and divided into similar groups with the same age or skills level so that they can progressively improve during the days having fun with the other mates. The course is aimed at beginners from 4 up to 8 years old; meeting point in Pontedilegno at the wooden house near the carpet lift in front of the Cable car Departure. You only need to buy a daily ticket of 5,00 Euro for the use of the carpet. The course is aimed at beginners from 4 up to 8 years old who will have their first experience on skis or not able to ski on the nearby blue/easy slopes independently. The meeting point is in Pontedilegno at the small wooden house situated in front of the cable car departure and near the carpet lift. Children who will get more confidence, could continue the course up to Passo Tonale by the cable car and come back in Ponte di Legno at the end of the lesson. The meeting point is at the small Ski School wooden house in Ponte di Legno where the pupils must arrive on time with ski pass, equipment and course enrolment. The point card and the hourly skipass will not be valid. The course is aimed at children and juniors between the ages of 6 and 14 of all levels ( beginners excepted). The departure and return point is in Pontedilegno at the wooden house near the carpet lift in front of the Cable car Departure, lunch included. The departure and return point is in Pontedilegno at the wooden house near the carpet lift in front of the Cable car Departure. The lunch in partners mountain huts or self-service restaurants is included in the price. The pupils, divided into similar groups by age or skills, will be able to express their personal character and creativity skiing and measuring with their mates in a friendly contest and appreciating the landscape. Students of intermediate levels will be able to acquire greater confidence and autonomy on skis thanks to specific trainings aimed at mastering techniques, animated paths and video shooting; classes with advanced technical skills can approach to freeriding and ski racing, training with the gate poles and with the support of video shooting. The All Day Course allows parents to have more free time while children can spend their skiing holidays having fun with others mates improving their confidence and techniques. The group lessons of 6 hours last for 5 hours and 45 minutes. Each group consists of pupils with an average of seven children per class with a similar age and level. Group lessons don’t have a limited number, anyway it is advisable to make a reservation through the online booking or by email indicating personal data, phone number, age and approximate level of experience of the participant : save money through the online booking. 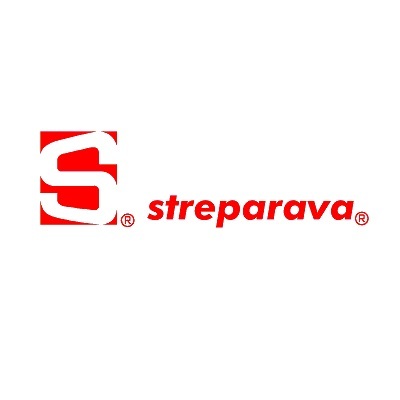 You must meet on time at the meeting point in Ponte di Legno with skipass, equipment and course enrolment. The course is aimed at children and juniors between the ages of 4 and 14 of all levels ( except for beginners from 4 to 8 of age ) with meeting point in Passo Tonale at the Raduno Classi area, next to Cadì and Serodine chairlifts and return point in Ponte di Legno at the wooden house near the carpet lift in front of the Cable car Departure. The course is aimed at children and juniors between the ages of 4 and 14 of all levels ( except for beginners). The meeting point is in Passo Tonale at the Raduno Classi area, next to Cadì and Serodine chairlifts and well-indicated by signs and flags; the return point is in Pontedilegno at the wooden house near the carpet lift in front of the Cable car Departure. Pupils of advanced levels will confront themselves in a variety of tests and exercises aimed at perfecting the technique with the possibility to approach to racing and freeriding ; students of intermediate levels will be able to acquire greater confidence and autonomy on skis thanks to specific trainings aimed at mastering techniques, animated paths and video shooting taken by our dynamic and friendly instructors. You can join Junior Fun Course on Saturdays and /or Sundays; please refer to Weekend courses. The Junior Fun courses last 2 hours and 50 minutes. The instructor must be informed at the beginning of the lesson in case you need to return to the Tonale Pass in the afternoon. The course does not have a limit of participants, therefore for organizational reasons, it is advisable to make a reservation through the online booking or by email indicating personal data, phone number, age and approximate level of experience of the participant : save money through the online booking. Saturday from 01.00 pm until 03.00 pm , Sunday from 11.00 am until 01.00 pm. The course is aimed at beginners from 4 to 8 years old at their first experience on skis or not able to ski on the easy blue slopes independently. The meeting point is in Passo Tonale at the Fantaski Park that is our area equipped with carpet lifts and children’s playground near the chairlift Scoiattolo. The participants will learn to take their first steps on the snow and execute their first slides with the help of our highly qualified instructors as well as with the support of appropriate educational tools. The pupils will learn to move their first steps on the snow before to begin skiing on the easier blue slopes, having fun with other mates. 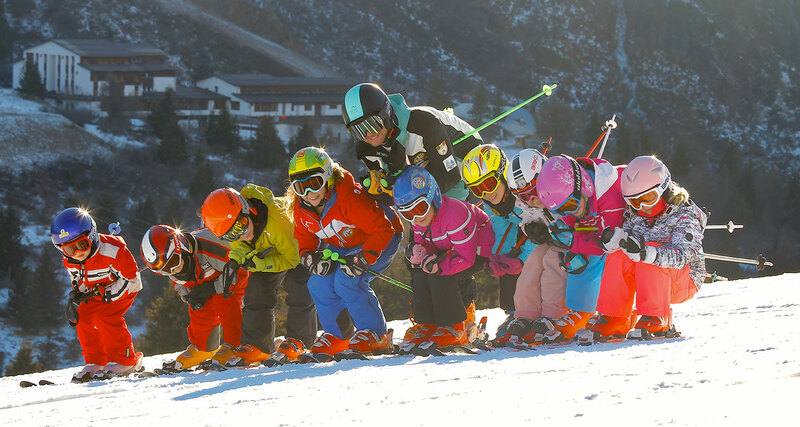 The course is aimed primarily for kids who will be present in the area with their families for several weekends during the ski season and thanks to the flexibility of participation to the lessons, it allows the parents to arrange a personal planning. The child’s presence at the course should be confirmed by e-mail within Friday evening. End Course Race with prizes and Buffet Party for everyone. The Baby Fun course lasts 1 hours and 50 minutes. Each class consists of pupils with an average of six children per class with similar age and level. During the season it’s possible to integrate the Course taking part to the Junior Fun Course. The pupils must meet on time at Fantaski Park in Passo Tonale with ski pass, equipment and course enrolment. The course will be ended with a friendly race with prizes for everyone – Further details will be communicated during the season. The course does not have a limit of participants, anyway for organizational reasons, it is advisable to make a reservation by phone or email indicating personal data, phone number, age and approximate level of experience of the pupil: save money through the online booking. Since the participations to the Baby Fun course are non-consecutive and irregular, to avoid any organizational misunderstanding, we require the parent’s full cooperation to communicate the child’s presence to the Saturday and/or Sunday course within Friday evening by sending an e-mail. The course is aimed at children and juniors between the ages of 4 and 14 of all levels ( except for beginners from 4 to 8 of age ). Saturday from 01:00 pm until 05:00 pm , Sunday from 9:00 am until 01:00 pm. Sunday: from 9:00 am until 01:00 pm. Please refer to Christmas Junior Fun course on Christmas period. The course is aimed at children and juniors between the ages of 4 and 14 of all levels ( except for beginners who can join the Baby Fun course). The meeting point is in Passo Tonale at the Raduno Classi area, next to the chairlift Cadì-Serodine and return at the wooden house near the carpet lift in front of the Cable car Departure in Pontedilegno on Saturday; meeting points are reversed on Sunday. Pupils of advanced level will confront themselves in a variety of tests and exercises aimed at perfecting the technique with the possibility to approach to racing and freeriding; students of intermediate level will be able to acquire greater confidence and autonomy on skis thanks to specific trainings aimed at mastering techniques, animated paths and video shooting taken by our dynamic and friendly instructors. The course is aimed at kids who will be present in the area with their families for several weekends during the ski season and thanks to the flexibility of participation to the lessons, it allows the parents to arrange a personal planning. The Junior Fun courses last 3 hours and 45 minutes. The pupils must meet on time with skipass, equipment and course enrolment. Pupils staying in Passo Tonale will always meet by the Raduno Classi area with timetable to be agreed with the instructors. The course will be ended with a striking and pleasant race with prizes and gadgets for all the participants. Further details will be communicated during the season. The course does not have a limit of participants, therefore for organizational reasons, it is advisable to make a reservation by phone or email indicating personal data, phone number, age and approximate level of experience of the participant : save money through the online booking. Since the participations of the Junior Fun course are non-consecutive and irregular, in order to avoid any organizational misunderstanding, we require the parent’s full cooperation to communicate the child’s presence to the Saturday and/or Sunday course within Friday evening by sending an email. The course is aimed at children of all levels from 4 years old. The meeting point is in Passo Tonale at the Raduno Classi area – Chairlift Cadì- Serodine. The course is aimed at children of all levels from 4 years old. Pupils will be selected in order to create well-proportioned classes with the same skill level or age so that they can improve their technique and measure with their mates having fun. Group lessons of 2 hours last for 1 hour and 50 minutes. Group lessons of 3 hours last for 2 hours and 50 minutes. Each group has a similar age and skill level and an average of eight children. The departure and return point is in Ponte di Legno at the wooden house near the carpet lift in front of the Cable car Departure, lunch included. The departure and return point is in Ponte di Legno at the wooden house near the carpet lift in front of the Cable car Departure. During Easter Holidays, there are weekly courses with a schedule corresponding to school holidays. Please refer to Online Booking to check for any active courses.